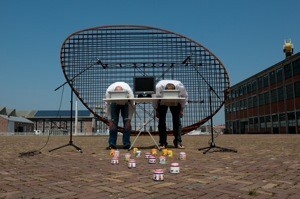 After nearly 15 years and more than 390 releases, Compost Records bundles some of their finest tunes together as Various Artists’ digital download compilation albums. 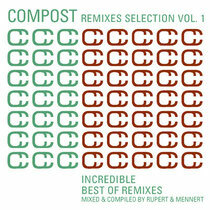 The variety and full spectrum of Compost’s repertoire has never or rarely been presented in the form of a musical genre compilation and these releases will be compiled or DJ-mixed by Compost’s artists and are available as digital downloads, except in some rare cases where they will be limited to 500 CDs. Compost artists Rupert & Mennert already did a great job with compiling the ‘Jazz Selection’ (Vol.1&2), the Downbeat Selection (Vol.1) and recently the Experimental Selection. With this first Remixes Selection, the focus is on club music, so the two Dutch selectors chose nine deep remixes by house experts Henrik Schwarz, Whignomy Bros., Llorca (Art Of Tones), Ripperton, Makossa & Megablast, Sasse, Dixon, Christian Prommer and Chopstick & Johnjon.